A certficated Commercial Pilot is paid for services as a pilot, provided you meet the qualifications which apply to the type of operations you are doing. Some of this flying is controlled by Part 91, but most commercial flying is controlled by Part 119, 121, 125, 129, and 135. Do I need a new medical certificate? To exercise your commercial pilot privileges, you must get a new medical (at least 2nd class) every year. If your 2nd class medical expires (and becomes a 3rd class), you cannot exercise the privileges of a commercial pilot. 1. Local scenic flights within 25sm of departure airport. 7. 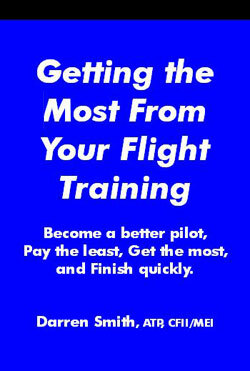 Go on to earn your flight instructor certificate. Can I fly people around for money? You can certainly be paid for being a pilot with a Commercial Pilot Certificate. 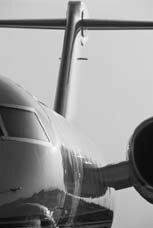 You may work for an Air Carrier certificated under Parts 119, 135 or 121. 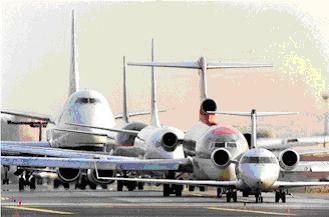 You may not be the Air Carrier conducting the business without getting an Air Carrier Certificate. When you offer a package (airplane, price, pilot), you are no longer operating under Part 91 and would need an Air Carrier Certificate. An example would be "Can you fly me to Atlanta?" If you provide the aircraft, you need to have an Air Taxi Commercial Operator certificate under Part 135. There are different rules regarding maintenance, airworthiness requirements, crew member qualifications, and expanded VFR and IFR equipment lists that make Part 135 very different from Part 91. So the answer is NO, you cannot fly people around for money. A Commercial Pilot Certificate simply allows a pilot to be PIC engaged in a commercial operation (airline) that has an Air Carrier Certificate. A pilot certificate does not entitle the holder to become a commercial air-taxi operator. If your customer approaches you, with his own airplane (either he rented it himself, or he owns it). In this case you may fly for hire, because you are not offering your services as a package or "holding out" as a commercial operator -- air taxi or charter. (b) Limitations. (1) A person who applies for a commercial pilot certificate with an airplane category or powered-lift category rating and does not hold an instrument rating in the same category and class will be issued a commercial pilot certificate that contains the limitation, “The carriage of passengers for hire in (airplanes) (powered-lifts) on cross-country flights in excess of 50 nautical miles or at night is prohibited.” The limitation may be removed when the person satisfactorily accomplishes the requirements listed in §61.65 of this part for an instrument rating in the same category and class of aircraft listed on the person's commercial pilot certificate. Should I get a multi-engine rating before or after the commercial? A lot of people go all the way through commercial (and some CFIs too) without doing any multi-engine training. Many people, after getting their single engine commercial, will go do a 4 day multi-engine IFR add-on. This way, you are multi-commercial IFR rated, which is the bare bones stuff the airlines want you to have. A multi-commercial add-on takes about 10-15 hours to become proficient. The only problem with this path is that the airlines will never hire you with less than 100 hours of multi-engine time. If you are headed to an airline career, consider a plan to do your instrument & commercial ratings in a multi-engine aircraft at a slightly higher price.